A website inspired by seasonal plant-based foods and simple mindful living. 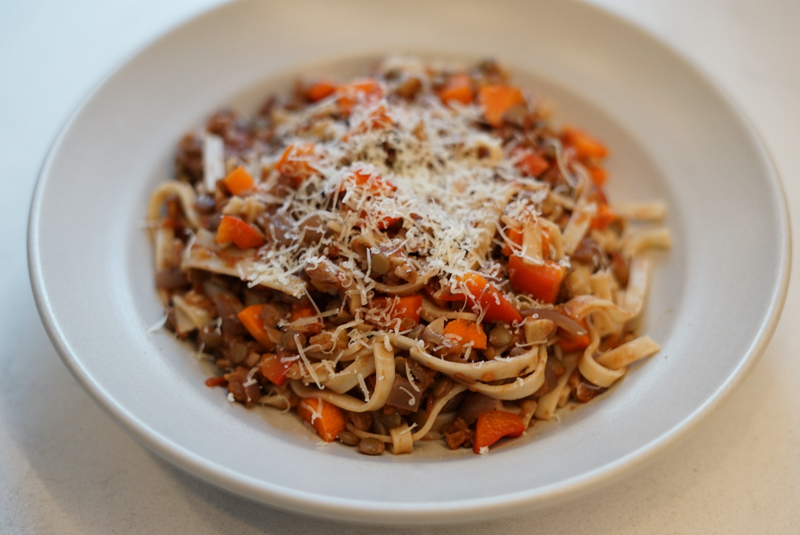 This Vegetable Bolognese recipe is perfect for a weeknight dinner at home. It has been a weekly go-to recipe for our family. After becoming a working mother, I now understand the need for quick and easy meals! I work until about 6:00pm three nights a week and I am not home until 6:30pm. Noah goes to bed at 7:00pm, so I basically walk into bedtime routine. We would prefer to all sit down and eat together as a family, but that does not happen those three weeknights. After baby goes to bed, two exhausted parents last thing they want to do is make an extravagant dinner that takes a lot of work. 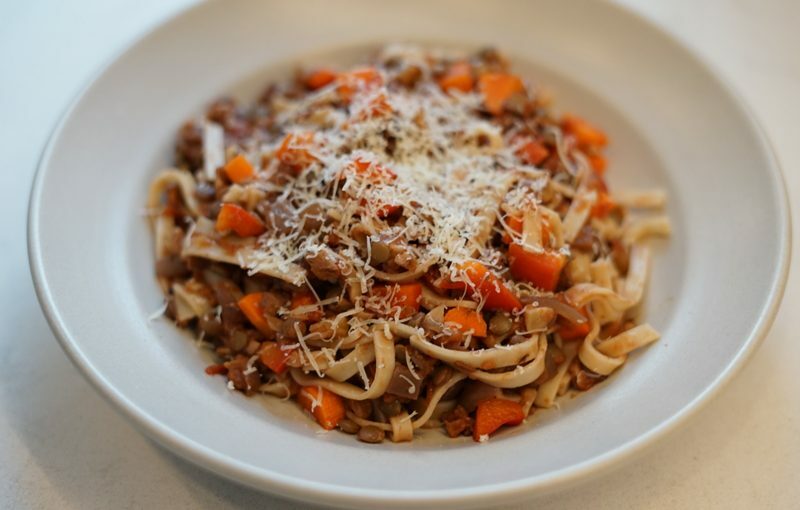 The best part about this Vegetable Bolognese recipe, is that it feels luxurious and extravagant but, it is pretty simple to throw together. Weeknight dinners are important in our family, and we will need to reevaluate our work schedules soon. We value that time together to relax as a family around a table, share a meal and connect about each others day. Not only do we feel deprived of that right now, but also challenged by having a baby that goes to sleep at 7:00pm! Before having Noah, we would have dinner at 7:30pm pretty regularly and not think that was late or really anything of it! Oh, how times have changed! I am going to warn you, this meal does have a fair amount of chopping, dicing and slicing in it. 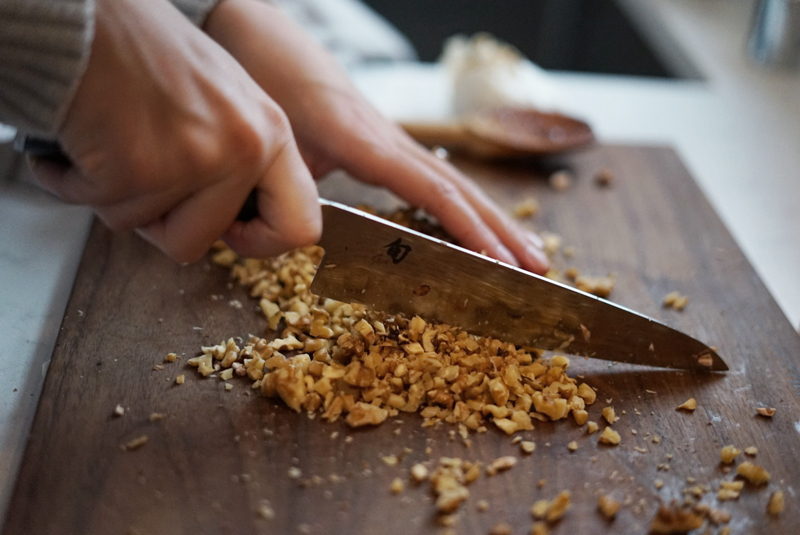 If you are a vegetarian/vegan or eat a plant based diet you know that you need to be efficient with a knife in the kitchen. When my husband and I got married, we pooled together all of the registry gift cards and purchased a really awesome knife set. We are so spoiled now with these amazing Shun Knifes – But, to be really honest we still do not really know how to use them! Well, I can chop an onion, but I feel like I should know my way around these professional knifes a little bit better! Anyways, we are taking a knife skills class at a local spot called the Cooks of Crocus Hill for a date night this Spring and are super excited! 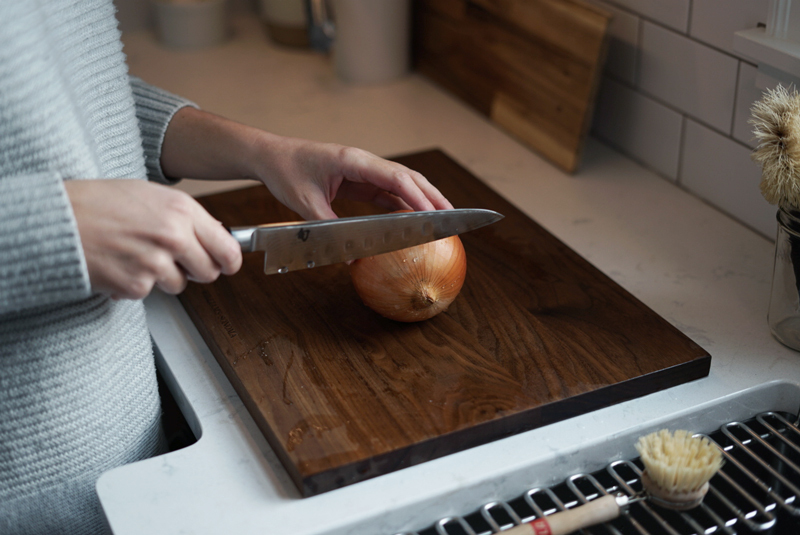 The more efficient you are with a knife, the faster this meal can be ready to eat for week night dinners. More to come on that, I am sure. Another reason I love this meal so much is that all of these ingredients are easy to find at a grocery store. We traditionally buy these ingredients every week or have them on hand to use interchangeably in meals, which also makes this a nice “go-to” week night dinner. Very few items have a short “shelf life” and most of them stay stable for awhile on your shelf or in the refrigerator. 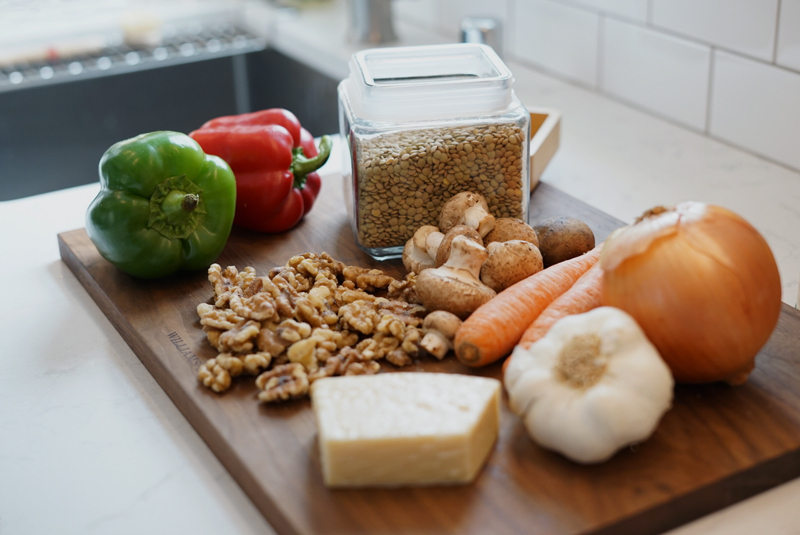 I only have time to grocery shop once a week, so it is nice to have ingredients for meals that are a combination or fresh vegetables and “shelf stable” pantry items. Some feedback I have received about my recipes are that they are time consuming, have a lot of ingredients and are intimidating to make. (Oh No!) I want to start giving you very accessible, simple and minimal recipes that make eating healthy easy and fun. I like using vegetables, nuts, seeds and legumes in creative ways that turn traditional food into so much more than it is. Now, I have not been this excited about something in a really long time. Not only did I create a new recipe for this blog but, I made my very first video! I have not been this proud of something I have made in a really long time, and it feels so good! I still have a lot to learn and I am so excited to learn this new skill and share it with you all. I’ve been happy dancing while typing this post and rewatching the video over and over again. I hope you love the recipe and enjoy some weeknight family time around your dinner table. Enjoy. This is one of my favorite weeknight dinners lately. 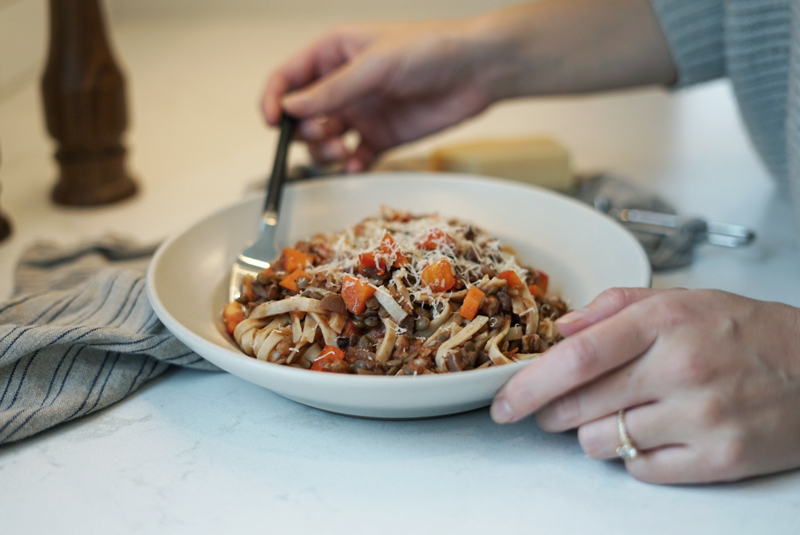 I can make the Veggie Bolognese sauce ahead of time and heat it up in a pan, cook some pasta and dinner is on the table within minutes! Even making this from start to finish during the weekday evenings is really fast, depending upon how efficient you are with a knife. Start cooking your lentils and get a pot of boiling water ready for your pasta. 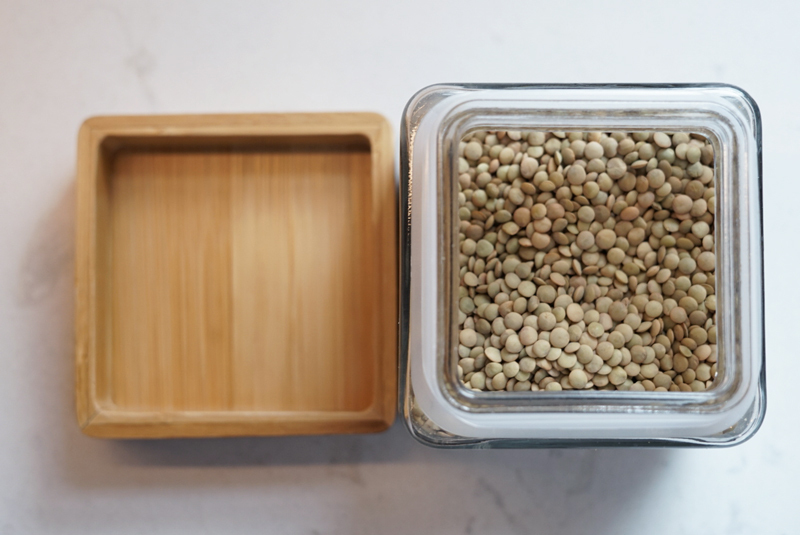 Follow the specific instructions on the package for cooking your lentils – or it is about 1 cup lentils to 2 cups water, bring to a boil and let simmer for about 20 minutes. In a large saute pan, heat olive oil over medium to high heat. Add your diced yellow onion, and chopped garlic and cook until translucent and browning. While the pan is hot, deglaze with wine and turn the heat down and let simmer. 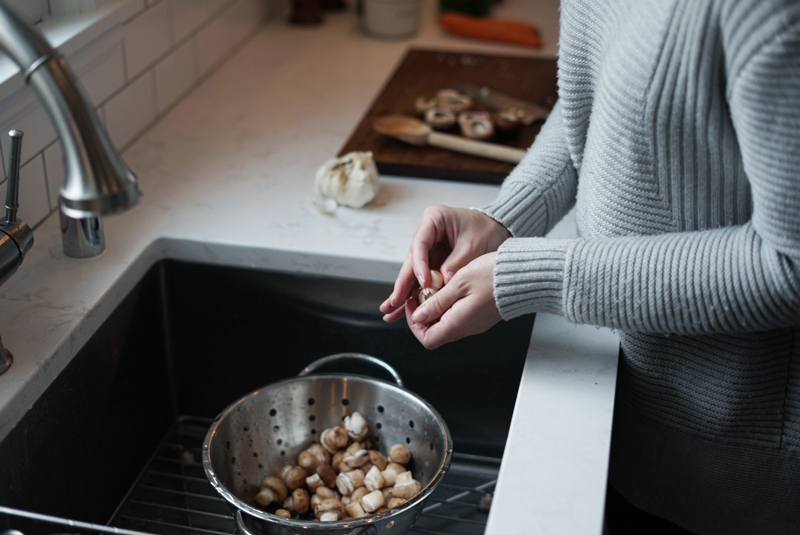 Add your mushrooms, walnuts and lentils to the saute pan and let simmer. Stir your mixture occasionally, some browning is good. 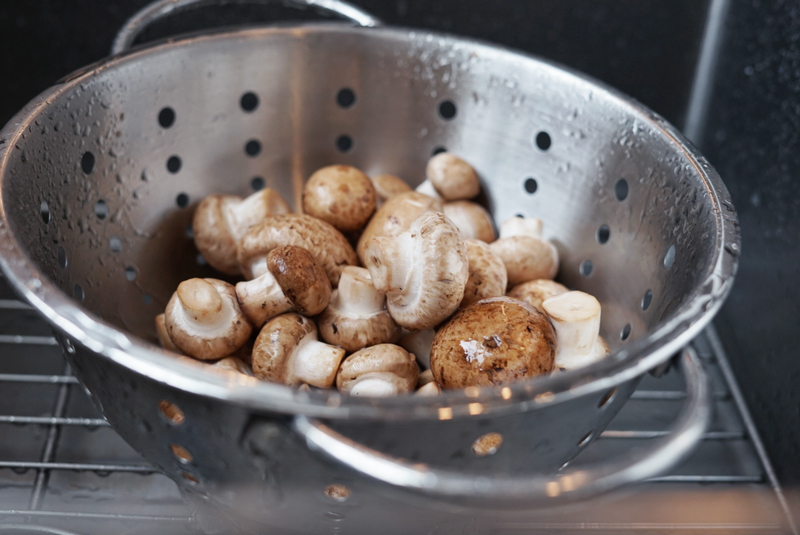 After mushrooms are soft which takes about 4-6 minutes, add your can crushed tomatoes. While your sauce is simmering down, add carrots and bell peppers. I like to keep the carrots and bell peppers pretty crunchy and large for texture. You may dice these smaller and cook them to your liking. Season your sauce with salt and pepper to taste. 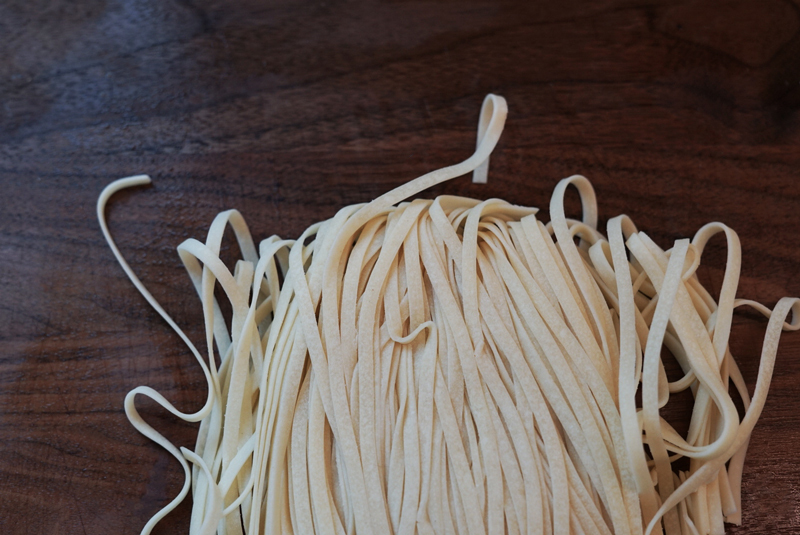 In your pot of boiling water, start cooking your pasta. Add a little splash of olive oil and salt to the water. 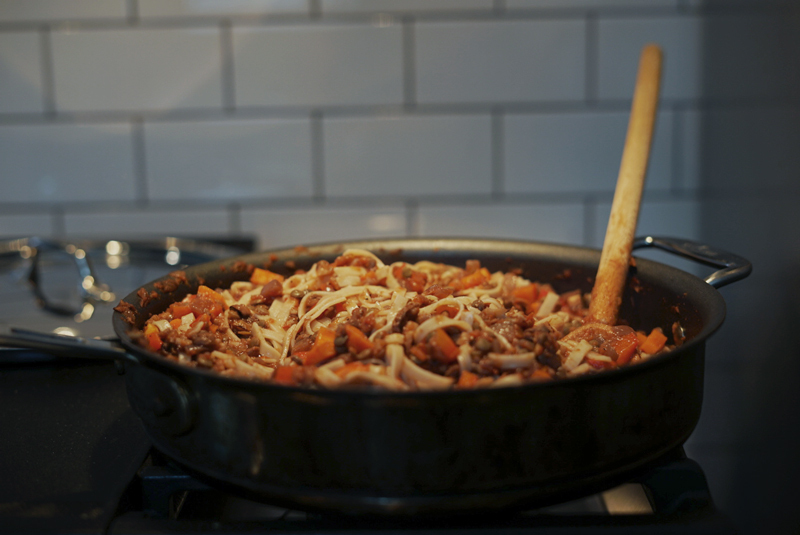 Drain cooked pasta and add the pasta to the sauce simmering in the saute pan. Stir pasta into the sauce and serve hot with shredded parmesan cheese and black pepper on top. Ella I love this recipe, post and video!